Having Monday blues? I used to have it practically every week when I was still schooling but now, Mondays are just so wonderful for me including today because no one will have the chance to interrupt my soundly sleep till my biological clock rings me and I get to do whatever I like and enjoy doing as long as I've completed those household chores:) Basically my daily routine is just watch TV > surfing the net(blog, blog stalk, watch videos...) > clean > cook > read..?? How good if this kind of days would last forever...better NOT or else my mind will rot and officially become a white elephant existing! If that is so, by the time I return to pursue my tertiary education I'm gonna be like the dumbest mammal among my peers >< Rather than talking rots, I shall start occupying my time to avoid that kind nightmare from happening! Gather all those tools you need before you start. 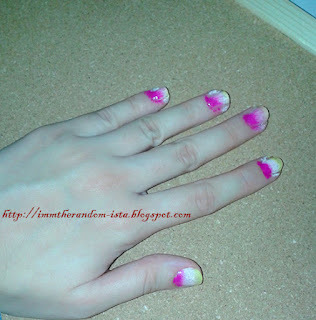 Tip: Leave the nail polish caps open. Select at least two of your desire colours in order to bring out the gradient effect. Next, just use your sponge to get the colours and dab it lightly onto your nails. 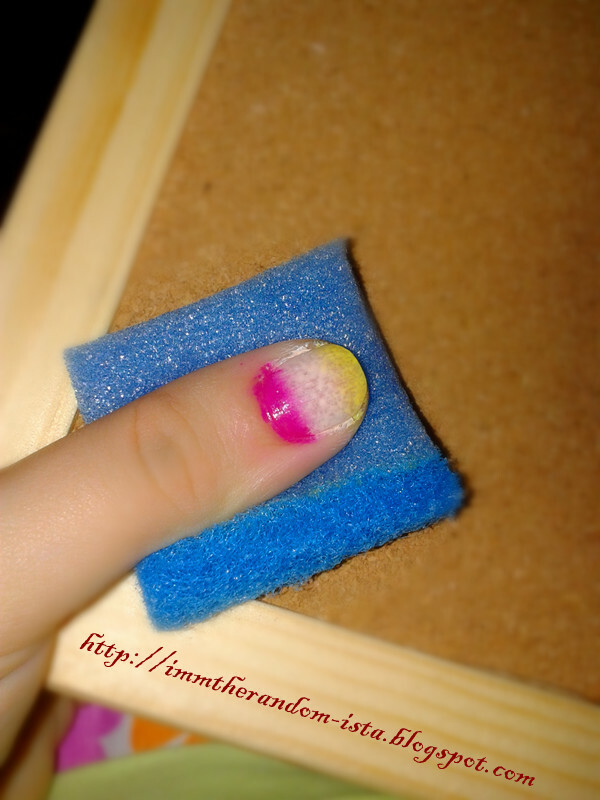 Tip: Use a sponge with smoother surface(something like the nail buffer surface) in order to get a smooth texture. 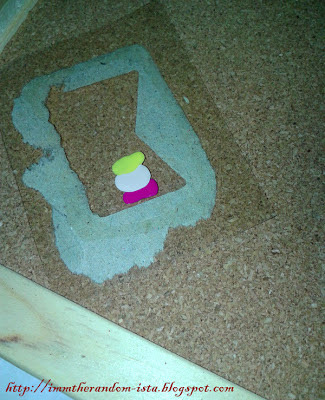 Don't worry if it's slightly messy. Just wet the cotton buds with nail remover and clean the around the edges. I suggest you to invest in a better performance top coat & layer it on top of the coloured nails when it's at least 80% dry & just wait for it to dry up. 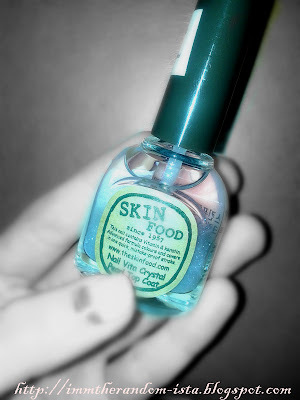 This time instead of my 'capelang' top coat, I'm using 'Skin Food's Nail Vita Crystal Pearl Top Coat'. This is my first attempt in doing ombre nails. 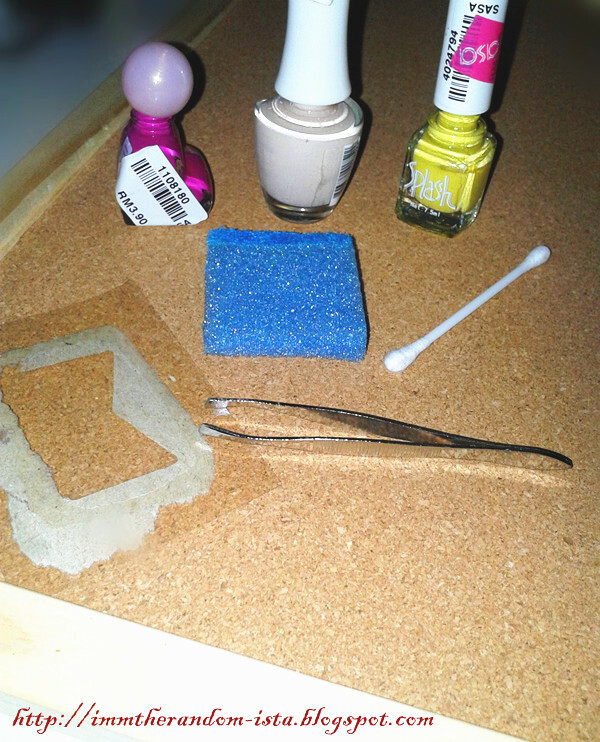 So what do you think of this nail art?